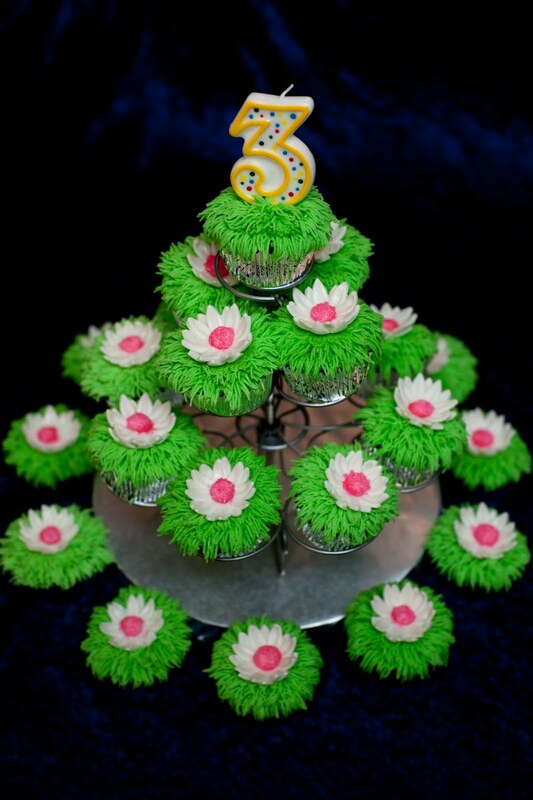 Here are two dozen chocolate cupcakes with green almond buttercream icing and fondant daisies made for Tabitha's 3-year-old birthday party. 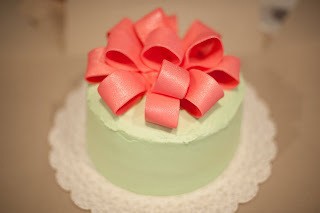 Tabitha is a happy, sweet little girl who loves green and pink, and wore a cute pink and green daisy dress for the party:) Happy Birthday Tabitha! 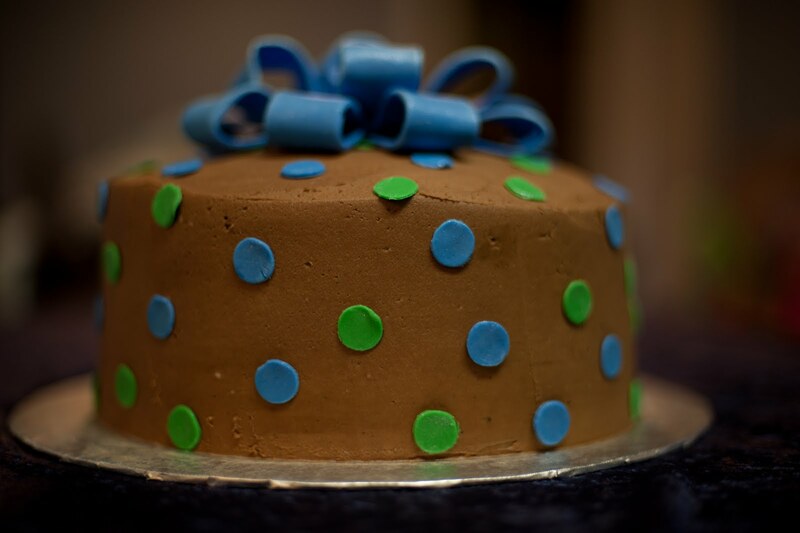 This cake is for three October birthdays in the Budget Office at UNT. 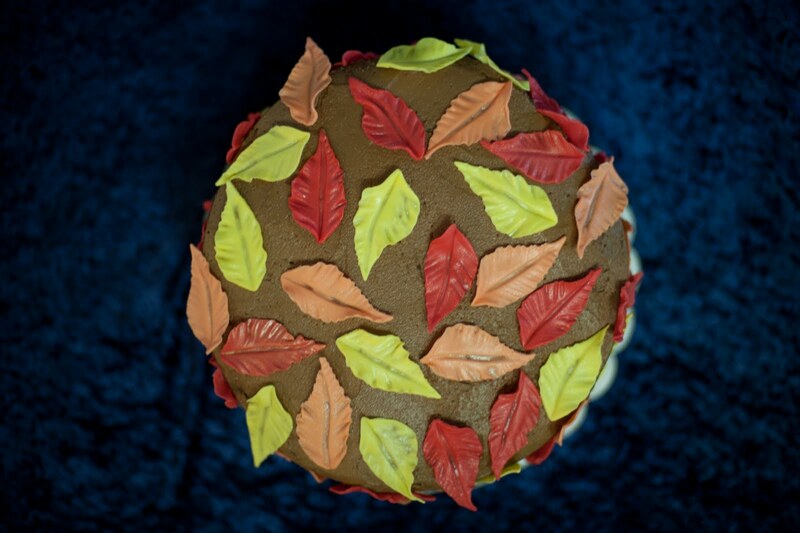 The request was for a fall cake, so I thought leaves would be fun to make and give a nice autumn look. 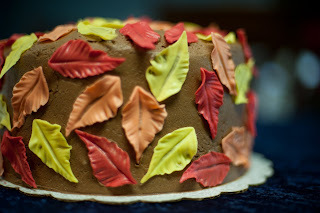 I learned last week how to make these leaves out of fondant. They are dusted with gold pearl dust. 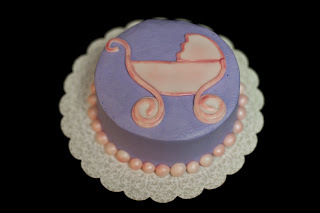 My first baby shower cake! This is for a lady expecting a baby girl. I like how the carriage turned out, it adds a whimsical feel. 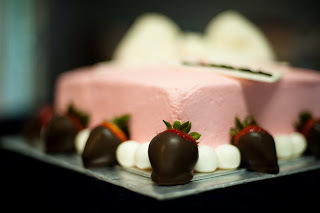 It's made from fondant and dusted with pink pearl dust. This is a birthday cake for two ladies in my mom's office at UNT. 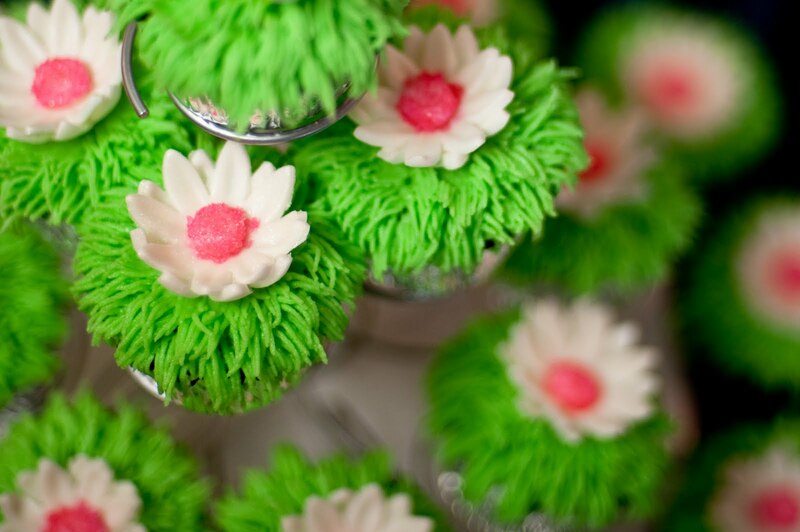 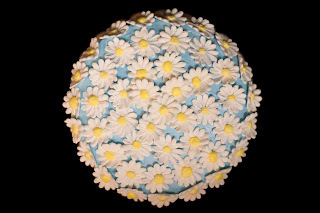 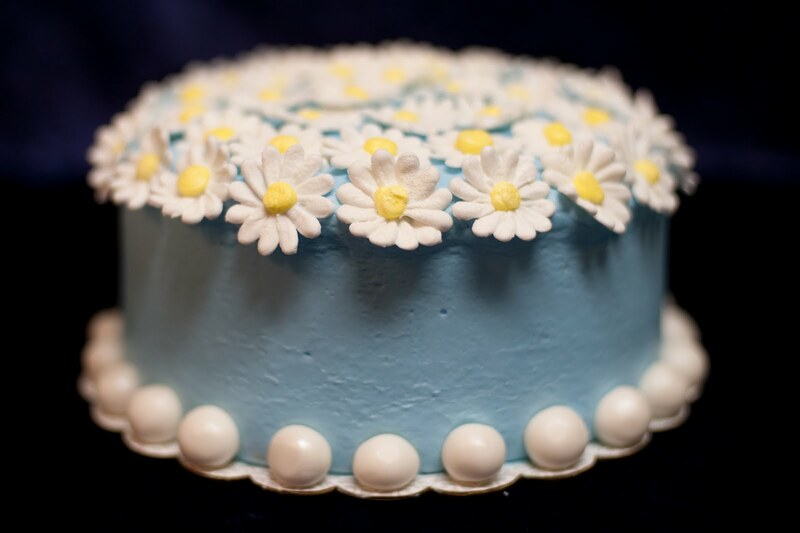 The daisies are made from royal icing and made petal by petal. 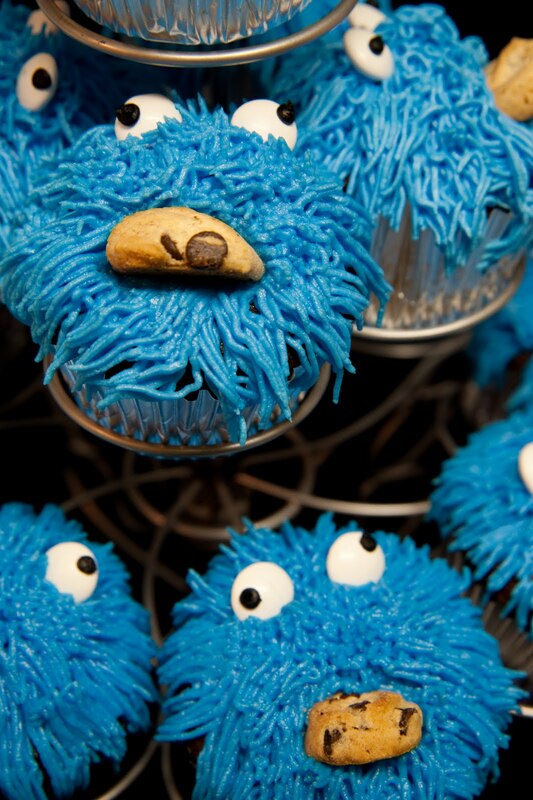 The pearls are made from fondant. 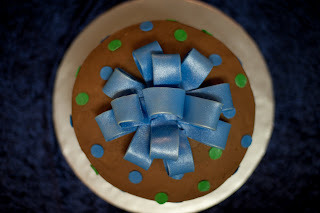 This is a birthday cake for my mom's co-worker in the UNT Budget Office. 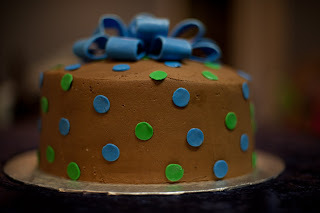 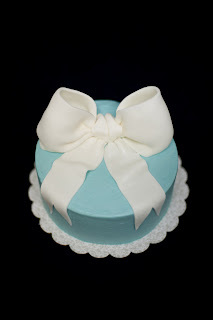 It is a butter recipe cake with almond buttercream and vanilla buttercream for the filling. 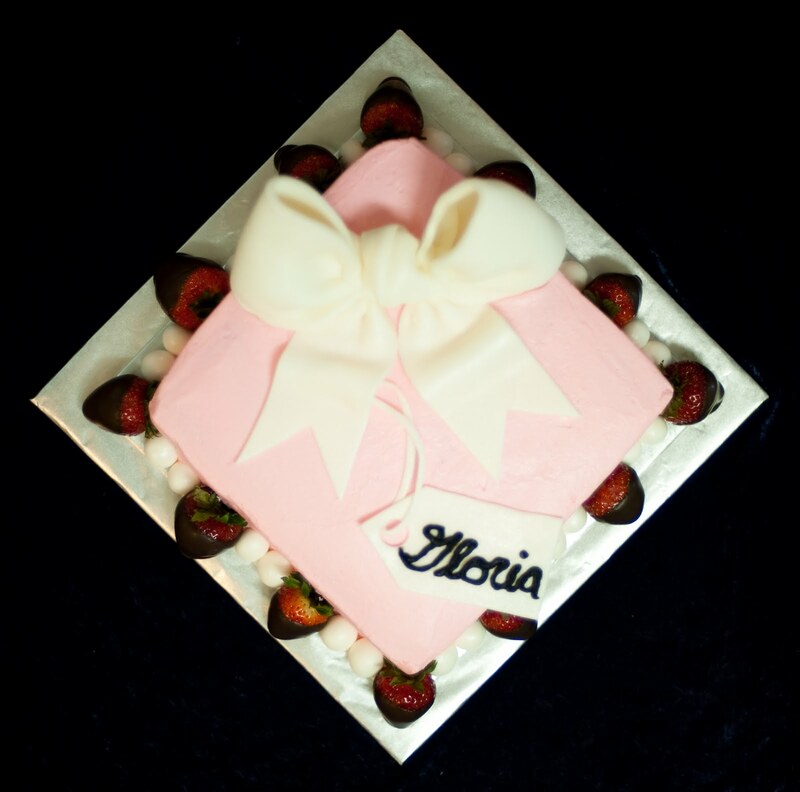 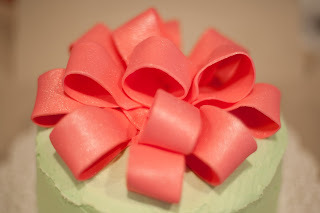 The bow is made from fondant and dusted with silver pearl dust. 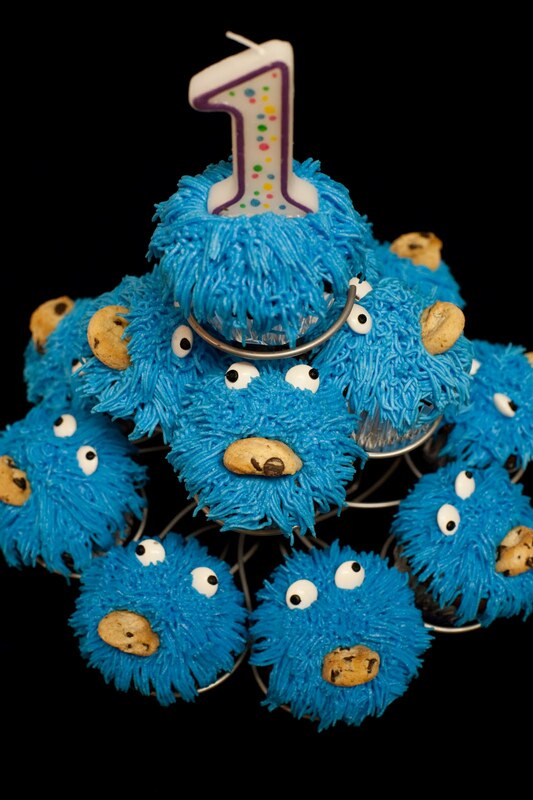 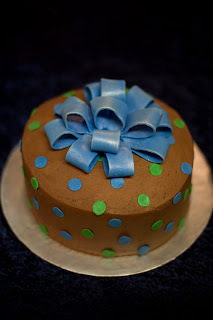 This is a birthday cake for my former boss. I am experimenting with flavors and made this one almond buttercream. 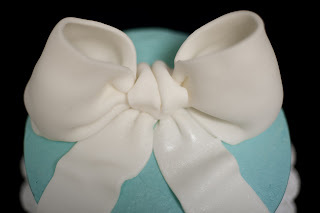 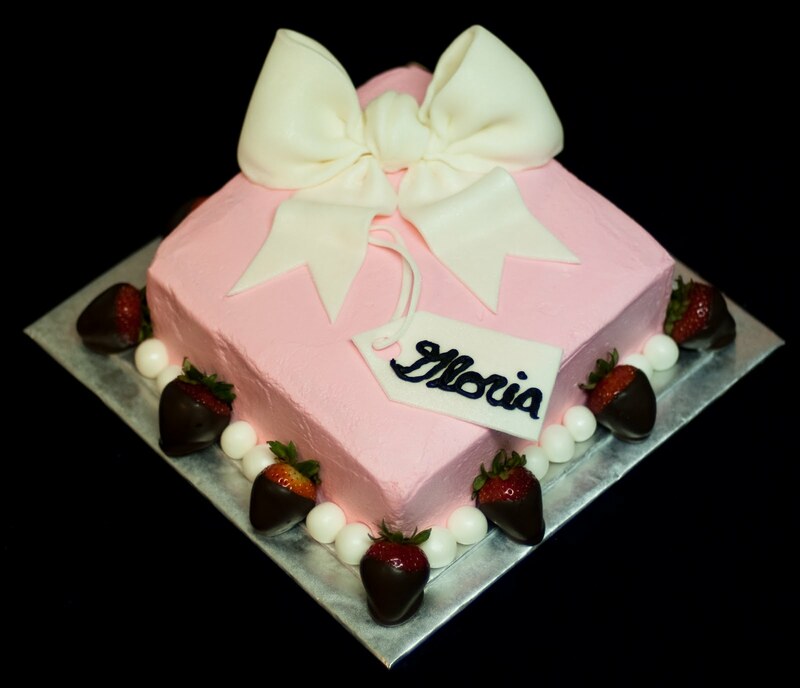 The bow and pearls are made from fondant, and there are a dozen chocolate covered roses.